As Kiefer Pirrung (Col ’09) steers a speedboat across the glassy surface of the open water of Lake Anna, Austin Holbrook (Col ’11) performs stunning alley-oops and acrobatic antics—he jumps, flips upside down, completes a 360-degree rotation and finally lands on the other side of the white froth of the wake. “I’ve always loved being on the water, and all my life I’ve water-skied, sailed or scuba dived whenever I could,” says Pirrung, shouting over the noise of the boat’s engine. Pirrung is co-president of the Virginia Water-Ski and Wakeboard Club at UVA, and though the high-speed, clenched-fist fun of water skiing is leagues away from the quieter, slower pace of sailing, Pirrung has much in common with Whit Overstreet (Col ’09), commodore of the Sailing Association at UVA. For one, their boats share slips at a marina on Lake Anna. For another, they have seen their clubs flourish during their time at UVA. Pirrung founded the club in 2006 when he discovered there were few opportunities for him and others to enjoy the “thrill and serenity that you feel when you’re gliding across the water.” He even drove a borrowed boat from Michigan to Virginia, but in 2007 the club raised funds to purchase a 19-foot Moomba. 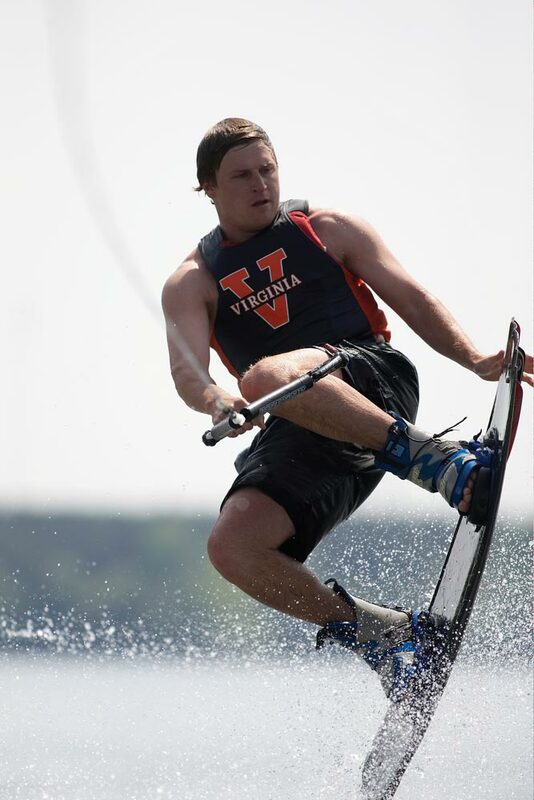 Club co-president Alex Newton (Col ’11) says the skill levels of the more than 100 participants vary from water-skiers who compete in intercollegiate contests to complete newbies. “The club provides equipment and instruction, so even the uninitiated can get their feet wet,” says Newton, buckling himself into a club-owned life jacket in preparation for his turn on the skis. The club’s officers hope to move team practices from Lake Anna to Lake Monticello, which is closer to Grounds, and the group has offered its facilities to the University for a beginners’ course in water-skiing and wakeboarding. The sailing association also is building its competitive resumé. 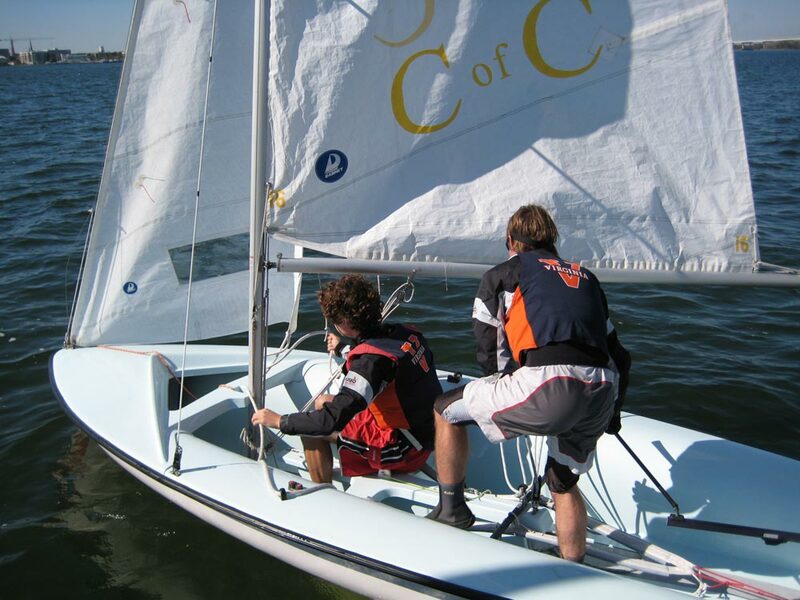 A member of the Mid-Atlantic Intercollegiate Sailing Association, the group is an underdog compared with more sailing-focused schools like the U.S. Naval Academy or Georgetown but performs neck and neck with Virginia Tech and William & Mary. Last year, several UVA teams went to a regional regatta in South Carolina. 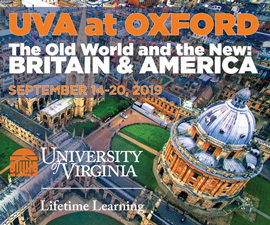 Nine UVA sailors carpooled to Charleston, slept on couches and floors of students from the host school, then placed 14th out of 16 in the race. 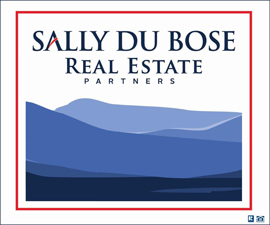 Overstreet has helped spark a renaissance of the sailing club, which has gone through ups and downs during its 30-plus years. A native of Albemarle County, he was a consummate landlubber until his first year at UVA, when he was taught to sail by Fleet Captain Joel Morgan. 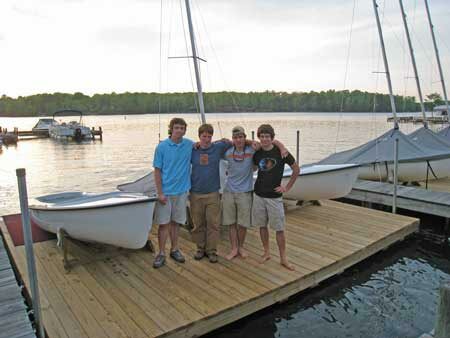 Overstreet inherited a fleet in disrepair, but in the past few years, the Alumni Association’s Parents Committee has donated two new boats and club members designed and built a dock financed by the Student Council. As with the other club, skill levels vary among the sailors. “We’re inclusive of novices, pleasure sailors and serious competitive racers,” Overstreet says. Wakeboarder Holbrook is a case in point as he attempts a particularly difficult trick—a Whirlybird. When he lands, he disappears abruptly into the water, leaving the towrope dangling uselessly.